A year after the big blockbuster Red Sox/Dodgers trade, both clubs have benefited from the salvation is created. The Red Sox were able to hit a reset button on their finances – and spend money on key Free Agents: Mike Napoli, Shane Victorino, take on Jake Peavy’s Salary, pick up Jonny Gomes and have a slightly lower payroll overall still. 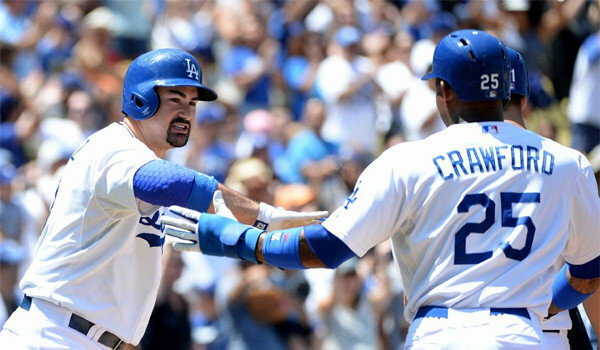 For the LA Dodgers, they received a bonafide Leadoff hitter in Carl Crawford, plus a lethal Left Handed Bat in 1B Adrian Gonzalez. The LA club was also willing to eat the $$ owed on bust Josh Beckett. Los Angeles could bury lots of money for little given away talent wise. Little did all of us know, that they had an electric ballplayer like Yasiel Puig ready to bust out. Boston is leading the AL East, and the Dodgers are killing it in the NL West. Perhaps this might be an October showdown? It has been a year since that big blockbuster Red Sox/Dodgers trade that sent a loaded bank of salary to the Dodgers along with superstar players like Adrian Gonzalez, Carl Crawford, Josh Beckett and Nick Punto. After a first half of struggles and criticism and watching the Red Sox play better baseball, the Dodgers have proven that the trade benefited them as well. The Dodgers lead the NL West 9.5 games after being down by 9.5 earlier in the season. Meanwhile in the AL East, the Red Sox lead the division by 1 game. 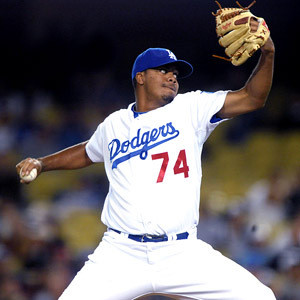 Kenley Jansen has given Dodger fans confidence going into the 9th inning with the game on the line once again. He has picked up the 7 saves in his last 10 appearances and has not blown a save in that stretch. He also has 17 saves in 20 opportunities this year to close the dominance of the Dodger Starting Pitchers lately. Sure, the Dodgers wouldn’t be where they are without the help of Yasiel Puig, Hanley Ramirez, and Clayton Kershaw but the Dodgers bullpen has also given the Dodgers the greatest effort during its two month stretch that has brought the Dodgers into first place. Guys like Ronald Belisario, J.P. Howell, Brandon League, and Kenley Jansen has stepped up from their first half woes and have shined after picking up games from starters. They’ve also brought in rookies like Paco Rodriguez and Chris Withrow to help out the pen and have brought in former Cubs closer Carlos Marmol. 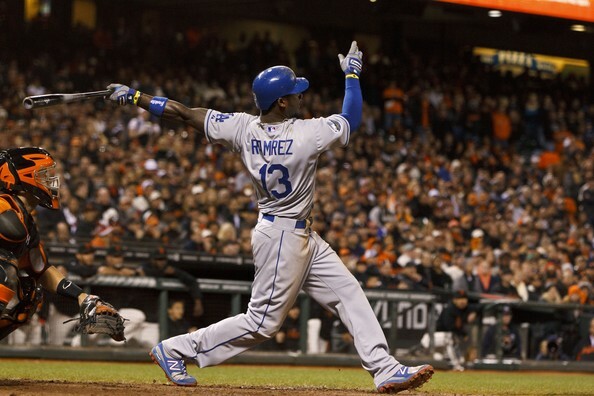 Ramirez had 5 hits including two triples during the weekend series against the San Francisco Giants as the Dodgers took two out of three games against the defending champions.Probably another impressive thing about Hanley’s recent success is the fact that he has SO’d only three times during the last 10 games. He hasn’t SO’d more than once in any of those 10 games.Hanley Ramirez has taking the role as the cleanup hitter pretty well as he has an 18-game hitting streak and is hitting .488 (20 Hits and 12 Runs Scored) – with 2 HRs and 7 RBIS in his last 10 games. 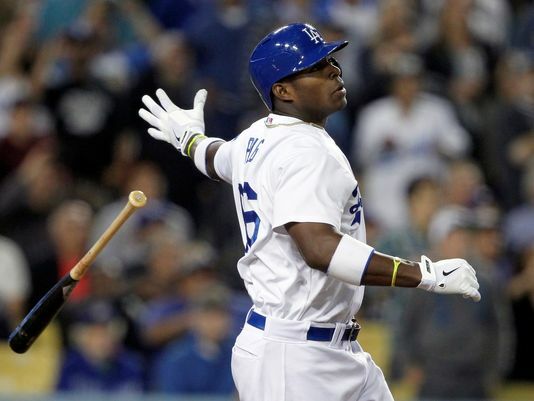 Much has been said about Dodgers’ rookie Yasiel Puig and rightfully so. He has had one of the most memorable first months in MLB history. He has played in 32 games and is hitting .409 with 8 HRs and 19 RBIs. You can easily connect Puig’s success with the Dodgers’ success as they’ve quietly got back in the division and are in fact now 2nd place in the NL West. But another guy who has had the same if not better success than Puig during their first 32 games of the season is Dodgers’ shortstop Hanley Ramirez. Dodgers’ Yasiel Puig has been on fire ever since he joined the big club. He is hitting for a 3 Slash Line of .436 with 7 HRs and RBIs through his first 27 games. His 44 Hits collected in the 1st month of his career is 2nd All – Time to the great Joe Dimaggio. There is no doubt that the Cuban Player is one of the best 7 or 8 OF in the National League right now – and it would be blasphemy if he is not given the right to put into the Mid – Summers Classic! There is no doubt about it, Dodgers’ OF Yasiel Puig has been all over the sports media – and rightfully so. Puig has only played in 27 games and he is batting an excellent .436 with 7 HRs and 16 RBIs. The Dodgers are 15-11 during that stretch including 8-2 in their last 10 games. Puig doesn’t seem like he’s ready to cool off as he has a 5 game hitting streak including a 4 for 5 game against the Philadelphia Phillies on Sunday June. 30. 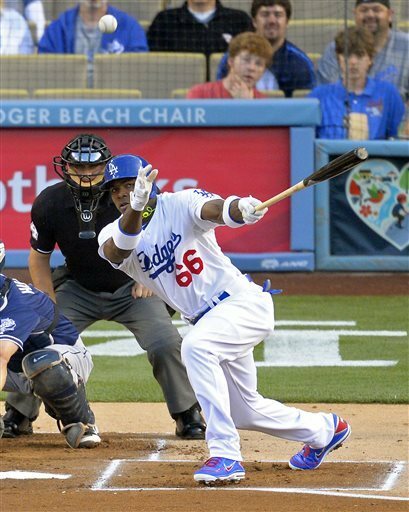 Cuban Outfielder Yasiel Puig was called up on June 2, 2013. As of June 7, 2013 the 22 year old has hit 4 HRs including a two HRs on his on just his second day in the office. When the Dodgers called up Cuban Outfielder Yasiel Puig on June 2, 2013, it was expected to be one of the most anticipated debuts by a young outfielder since Bryce Harper. Considering the money the Dodgers have spent to bring him to the United States ($42 million for 7 years), he has definitely not disappointed – and has even brought memories of a somewhat recent player that electrified Dodger Stadium in a very short amount of time. Of course, that player being Manny Ramirez. In Puig’s debut, a game against the San Diego Padres, Puig went 2 for 4 but what really stole the show was a play he did in the track in right field when he threw Chris Denorfia out at first base…ending the game. 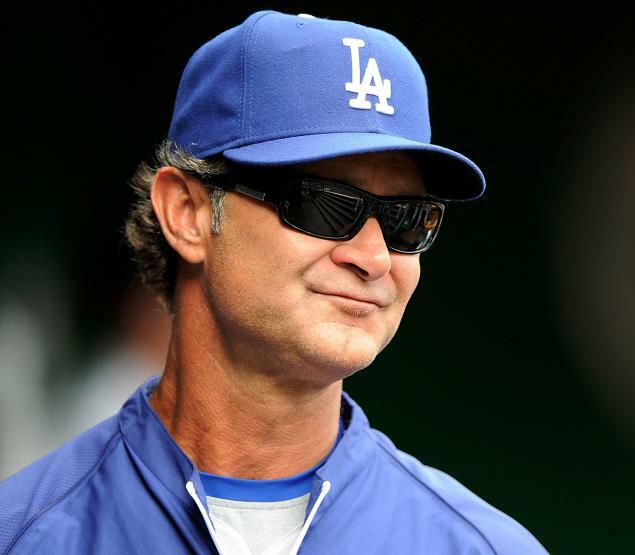 Dodgers skipper Don Mattingly is in his third and final season in his Dodgers contract. He is currently 187-185 but has started the 2013 campaign 20-27 last place in the NL West and 6.5 games behind first. Our own Lead Writer has suggested that Donnie Baseball will be fired from Los Angeles, before resurfacing in Flushing Meadows, NY for the Mets at a future date. There is no doubt about it, the Dodgers season has been very disappointing. Marking one of the highest salary caps in baseball, the Blue Crew has started the season 19-27, last place in the NL West and 6.5 games behind first place. 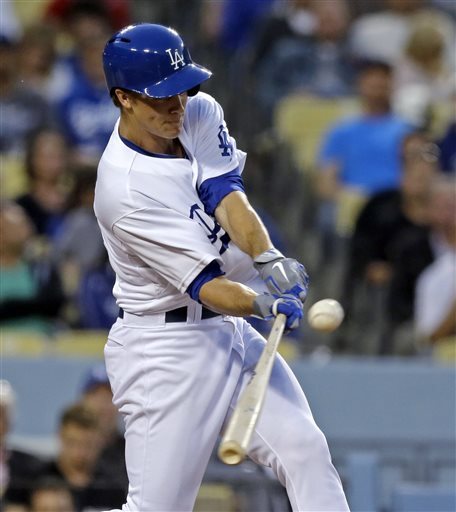 After having a fresh start with former Red Sox players Adrian Gonzalez, Josh Beckett, Carl Crawford and Nick Punto then signing ace Zack Greinke the Dodgers expected a much better record than the one they currently have. But as everyone knows, things happen during the regular season that make a player and a team perform worse than they’re expected. 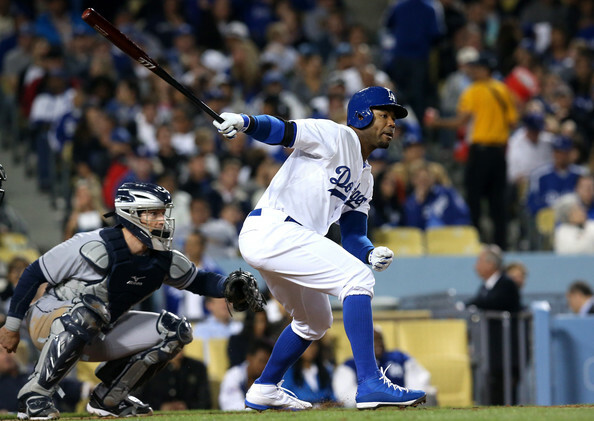 In this case, Hanley Ramirez, Greinke, Beckett have hit the DL. 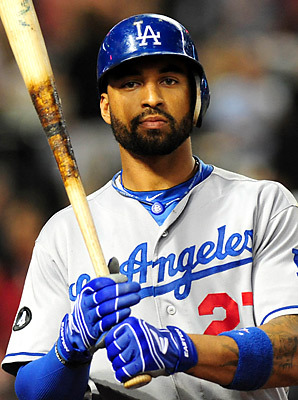 Matt Kemp is still trying to come back from a season in which he hit the DL for quiete some time. Matt Kemp has begun the year hitting .182 with no HRs and 5 RBI in 15 games. Kemp hopes to get out of his slump by visiting an American League ballpark for the first time in the season. Last year, the big man torched through April, smashing 12 HRs and adding 28 RBI – to go along with a .417 Batting Average. After the brawl last week with the San Diego Padres, Dodger fans were wondering if Dodgers’ slugger Matt Kemp would get out of his early season slump and start getting clutch in the series at Arizona and the series back at home against the Padres but Kemp was still unable to get out of that slump. Kemp went 4 for 22 (.182) in those two series but did collect 4 RBI. The Dodgers managed to win only one game in those six games including a three-game sweep by the Padres at home. They were also shut-out twice in Arizona. The most devastating one was the Sunday game as they let an amazing pitching performance by Josh Beckett go to waste in the 9th Inning. The final score of that game was 1-0. Beckett had 9 SO on that game with only one Earned Run. Dodgers’ skipper Don Mattingly might have criticized a bit by letting Beckett continue on with the game. Padres Outfielder Carlos Quentin charged Dodgers pitcher Zack Greinke after Greinke nailed Quentin with a pitch on 3-2 count on Thursday April 11, 2013. Shortly after the fight, Dodgers Outfielder Matt Kemp got infuriated and started yelling at the Padres team including manager Bud Black. It was 2-1 Dodgers lead in the bottom 6th Inning – with a 3-2 count on Padres Outfielder Carlos Quentin with Dodgers’ Right-Hander Zack Greinke on the mound, a great baseball scenario until the 3-2 pitch hit Quentin and made him run toward Greinke and collide with him. 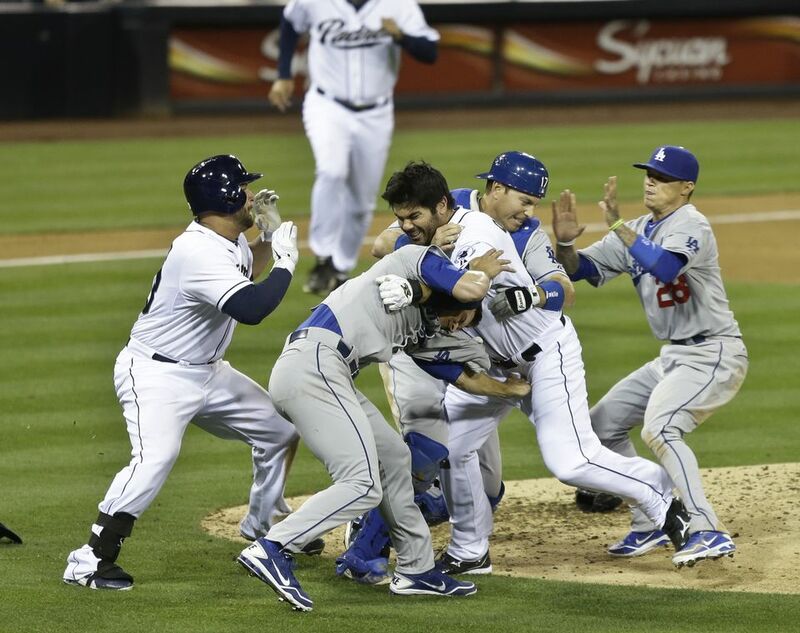 The benches cleared as they were trying to separate the two but a furious Matt Kemp began yelling at the Padres’ bench and team including Padres’ Manager Bud Black and Quentin. Dodgers’ legendary announcer Vin Scully tried to translate the words that were coming out Kemp’s mouth the best way he can by saying, “That’s fertilizer, that’s fertilizer!.” Dodgers’ utility player Jerry Hairston also ran toward the Padres’ bench. 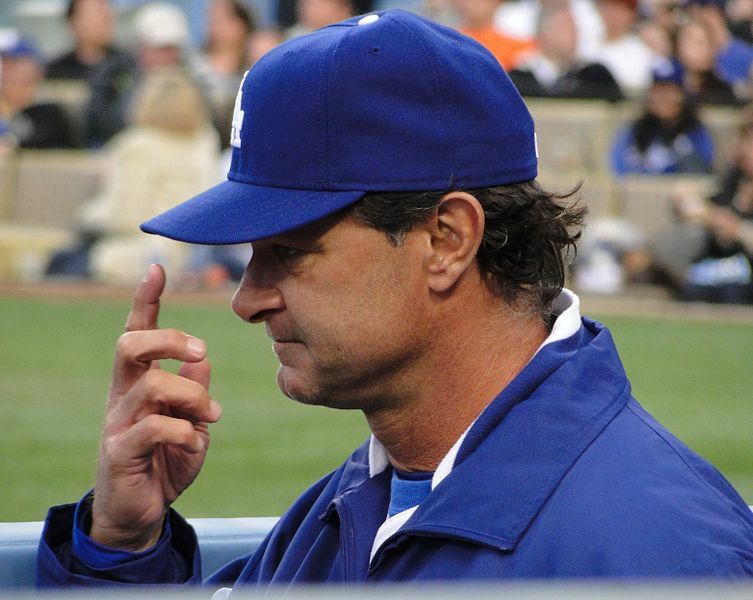 Mattingly managed the Dodgers to a nice record in the NL West during the first few months of the 2012 campaign – before injuries crippled their chances to continue as the leaders. 2013 gives the former Yankees a fresh start with the biggest payroll in the game and lots of ALL-Star talent. Can he unite the players to gel? In the last year of his contract, he has guided the Dodgers to a 4 – 2 record so far in 2013. The pitching has been dominant, particularly only yielding just 2 run to the Pirates in a 3 game Series over the weekend, plus throwing back to back Shutouts on Friday and Saturday. All they need now is for Matt Kemp to come around! Dodgers skipper Don Mattingly began his third season as Dodgers manager with a four-man rotation. Clayton Kershaw opened on Monday – and pitched a Complete Game Shut-out – with a Game Winning HR at the plate himself against the defending world champs San Francisco Giants. On Saturday night, Kershaw went on to pitch a Seven-Inning Shutout against the Pittsburgh Pirates – with 9 SO and only 2 Hits surrendered. He’s currently 2-0, 0.00 ERA, 16 SO, 6 H and only 1 Walk. Hyun-Jin Ryu (another Left-Hander) went on Tuesday to make his Major League debut and lost. His official line seems a little off but in 6.1 IP, he gave up 10 hits , however the end result was only one Earned Run – with 5 SO and O Walks. On his second career start, Ryu was able to pick up his first career win by defeating the Pittsburgh Pirates. He pitched 6.1 Innings once again, allowing 2 Earned Runs (a two-run shot to Pirates Center Fielder Andrew McCutchen), Striking out six – allowing only 3 Hits and 2 Walks on Sunday afternoon. 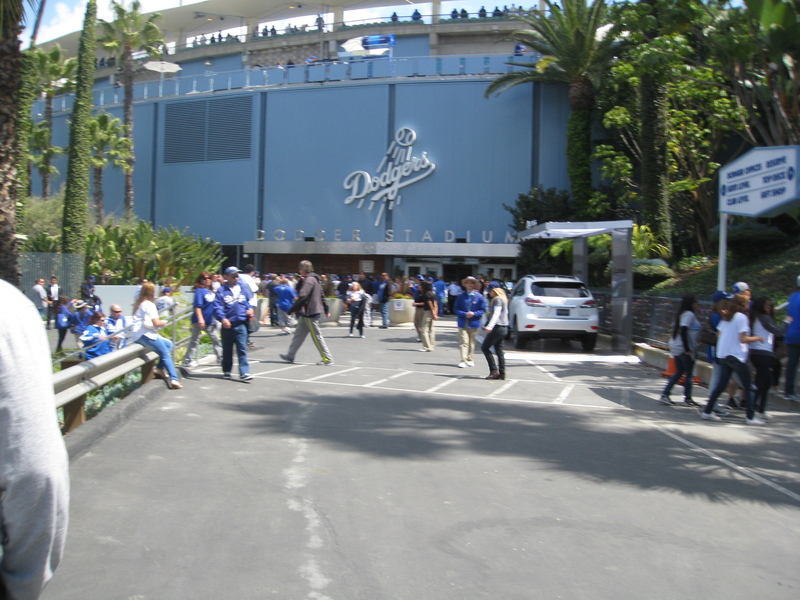 Dodger Stadium was at full capacity (53,138) on Monday’s Opening Day. It was 66 Degrees at Game Time. With the MLB’ s biggest payroll right now, the Dodgers have heavy expectations in 2013. They won 4 – 0 on Mondays game – before dropping back to back games to the Giants Starting Pitchers Bumgarner and Lincecum. 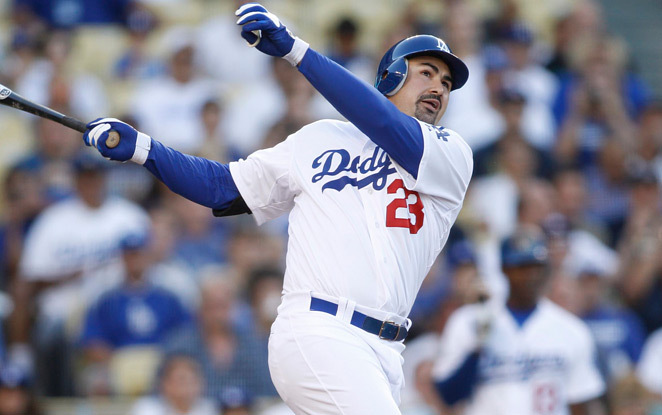 Matt Kemp is still hitless on the year – and Adrian Gonzalez had not had a base knock since his 2nd AB of the Year. On a solid note, Carl Crawford has looked great with 5 Base Hits in 9 At – Bats. The team has switched Luis Cruz to Shortstop and Juan Uribe to 3rd after a brutal Game #2 by Justin Sellers (which featured a couple of errors). Everything just went right for the Dodgers. Crawford got two hits (including a Double), Adrian Gonzalez got a hit, Ethier got a hit, Kemp scored a run, just what the Dodgers expect out of their stars. The Dodgers made Matt Cain throw 35 pitches in the 1st inning – including Kemp drawing a 11 Pitcher AB, with several Foul – Balls before finally Striking Out. This still jacked up Cain’s pitch count, causing the Giants to lift him before the Bottom of the 7th. After the 8th Inning HR, the club even scratched out two runs on Infield grounders! Without signing a contract extension during the winter, the 2011 Cy Young Award winner (and 2012 runner-up) Clayton Kershaw did more than expected for the Dodgers as they defeated the reigning World Champs – and Dodger arch-rival San Francisco Giants 4 – 0. Not only did he picked up the win, he earned himself his first Shutout of the season. He allowed only four hits and Struckout seven hitters.